Learn how to reset your Zentail user password. 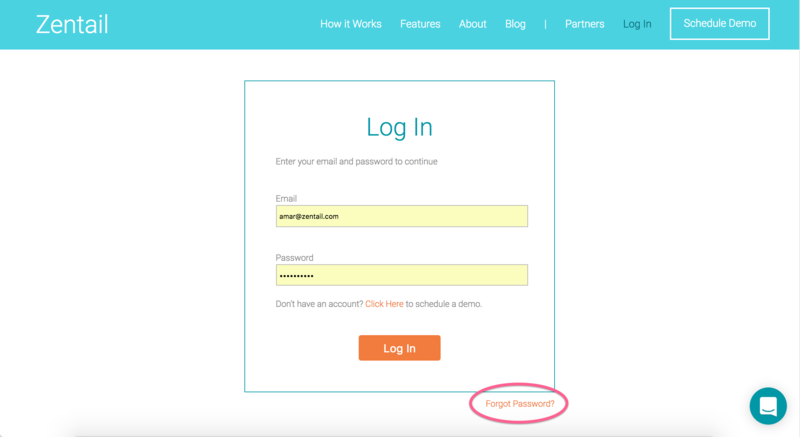 Use the Forgot Password link on the login page to reset your password. 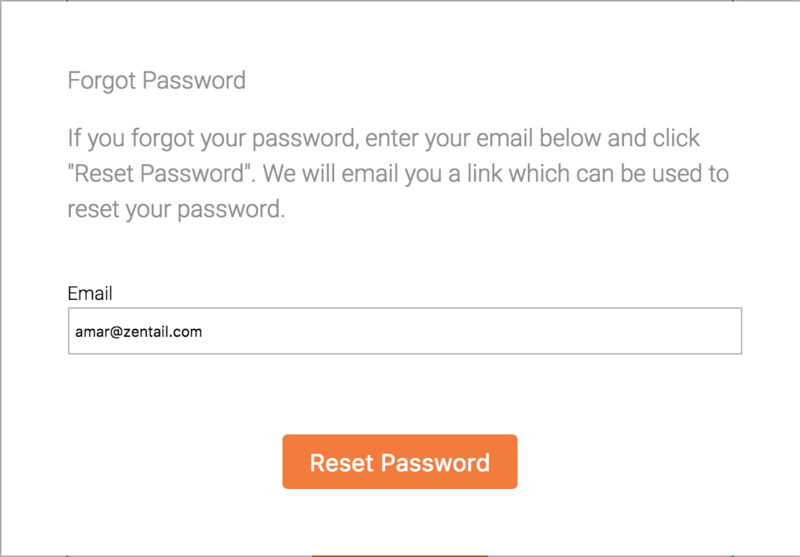 To reset the password on your Zentail user account, simply go to the login screen on the Zentail homepage and select the "Forgot Password?" icon. 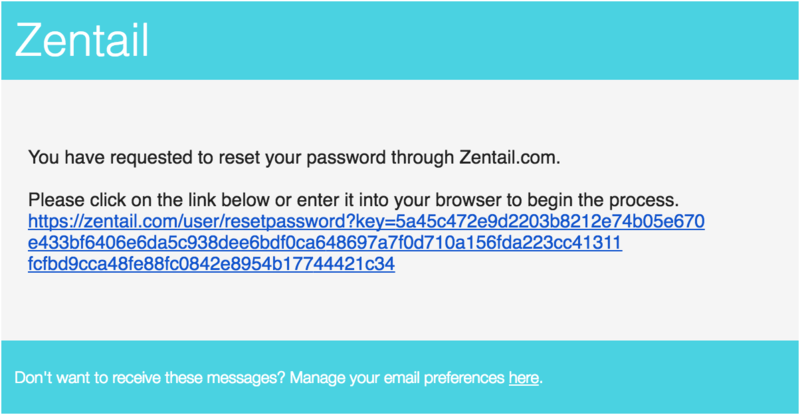 Once you have entered in the email address that your Zentail account is associated with, you will receive an email prompt at that address from [email protected]. Note: If you don't find the email in your Inbox, you may need to locate it in your Spam folder. Once you click on the password reset link provided in the email, you will be taken to the following page and enter in the new password that you desire. Once you click Reset Password, you will be taken back to the Login page. 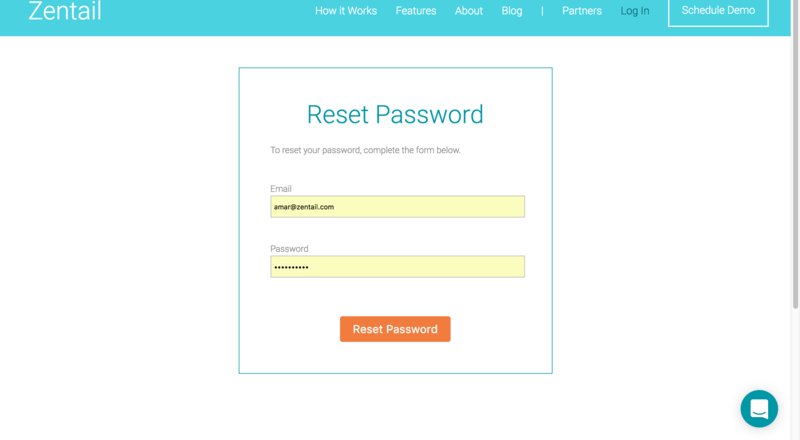 Re-enter your new password in the Password field since your browser may still be storing your old password.